Item: Generic USB Data Cable. Flexible for maximum usability. 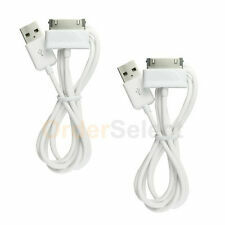 2 NEW USB Charger Cable Cord for Samsung Galaxy TAB TABLET 7.0" 8.9" 10.1" HOT! Samsung Galaxy Tab Series: Galaxy Note 7.0", Galaxy Note 2 7.0", Galaxy Note 10.1", Galaxy Note 2 10.1", Galaxy Tablet 7.0", Galaxy Tablet 2 7.0", Galaxy Tablet 7.0" Plus, Galaxy Tablet 7.7", Galaxy Tablet 8.9", Galaxy Tablet 10.1", Galaxy Tablet 2 10.1", Galaxy Tablet 10.1v. For Samsung Galaxy Tab2 Tab 2 GT-P3113TS P3113, 10.1 GT-P5113TS. Note 2: Tablet and software features are limited to the tablet's capability and the service provider's default settings. 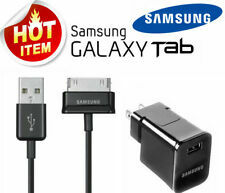 USB Data Cable for Samsung Tablets. Samsung Galaxy Tab 2 GT-P5100 GT-P5113 GT-P5110. SKU#: Tab Ribbon SAM 06. ☛ Compatible Models. Connect your Computer or laptop to your Samsung GALAXY Tab to access and synchronize your phone book contacts, e-mails, and appointments, change ring tones and background pictures, take advantage of other useful applications! SM-T377V SM-T377r4 SM-T377P T377A. Charging Port Dock Connector. Samsung Galaxy Tab E. MUST READ! it may result in void of warranty. We will try our best to satisfy you! No exception. 2 USB Travel Battery Charger Data Sync Cable for Samsung Galaxy TAB TABLET 7.0"